The School of Technology for the Arts is proud to present FUTURESCAPE, the 4th Portfolio show that features the best of our young graduates right here at SCAPE in the heart of Orchard road. Happening from the 18-19 Dec, it features multi-disciplinary talents from the Diplomas in New Media, Sonic Arts, Technology and Arts Management, Games Design and Design for Interactivity. 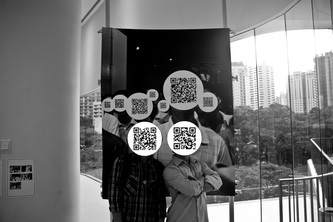 The showcase will be presented in five exciting spaces of NewMediascape, Soundscape, Designscape, Theatrescape and Gamescape. Each arena aims to present new ideas from our young talents, with students presenting their unique blend of artistic vision through their portfolios. 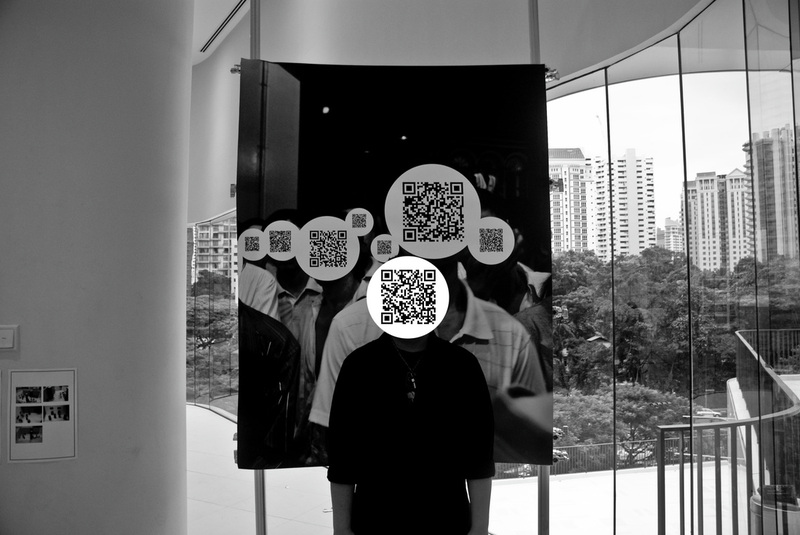 From game designs, short video productions, music composition, theatre art and designs for interactivity, be prepared to embark on a creative journey that is all about how we ideate, invent and inspire. 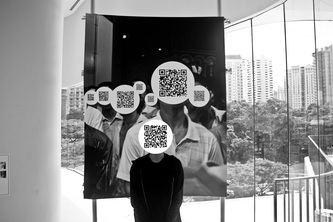 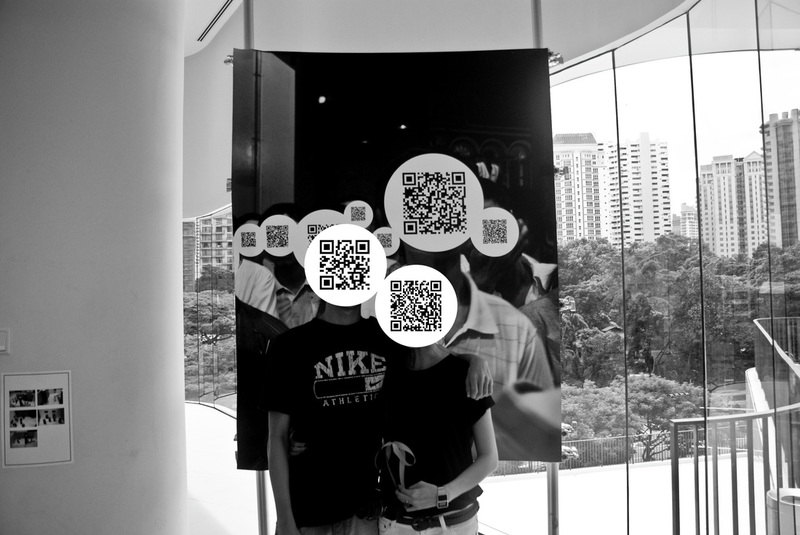 'Facial Codes' is a series that explores the viewers' relationship to two-dimensional (2D) still images reproduced on photographic print medium. 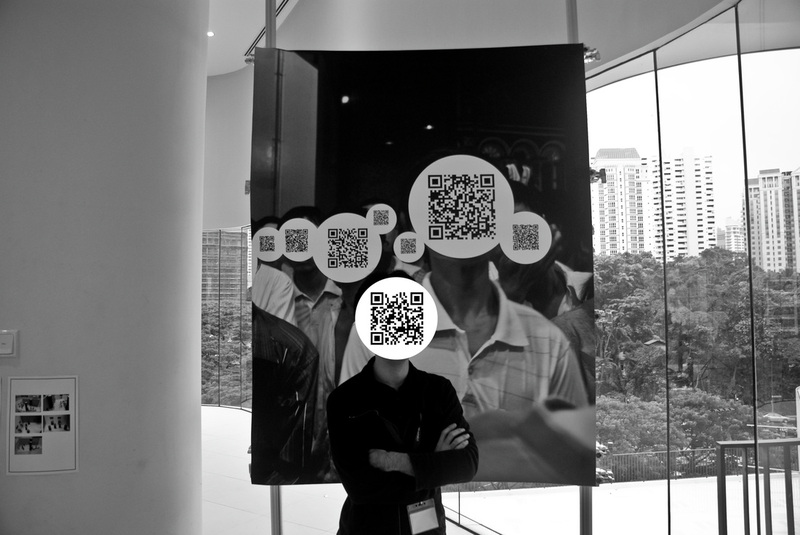 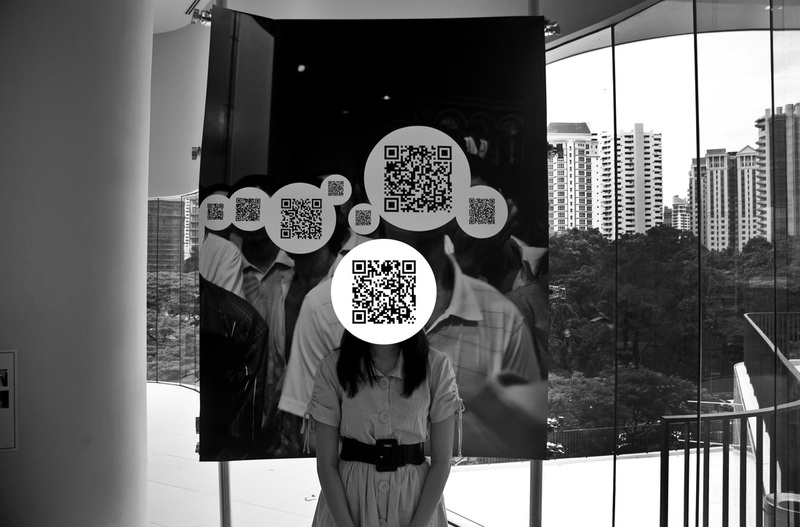 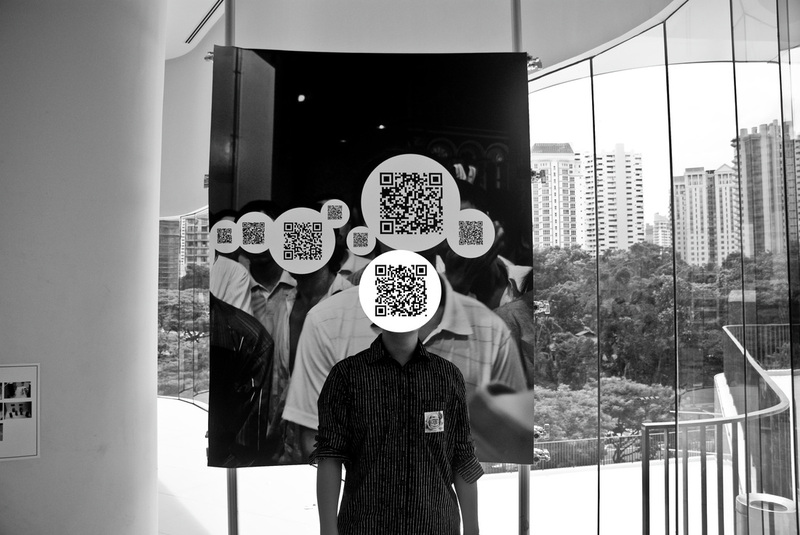 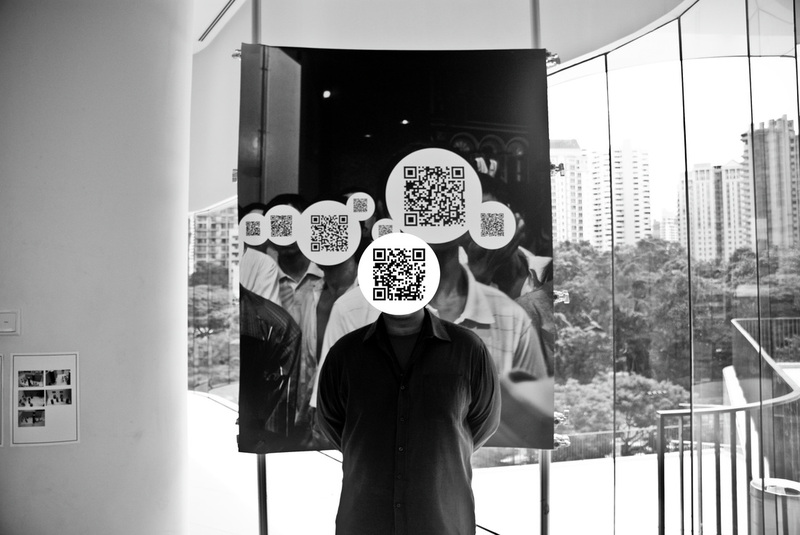 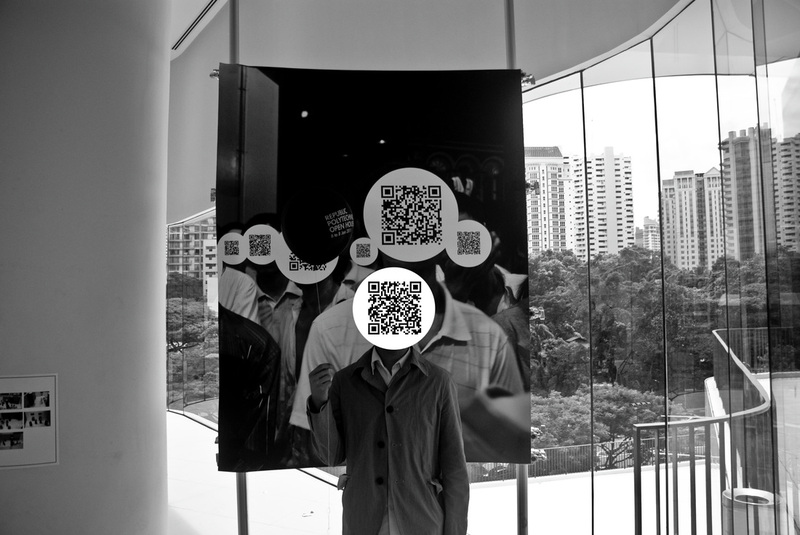 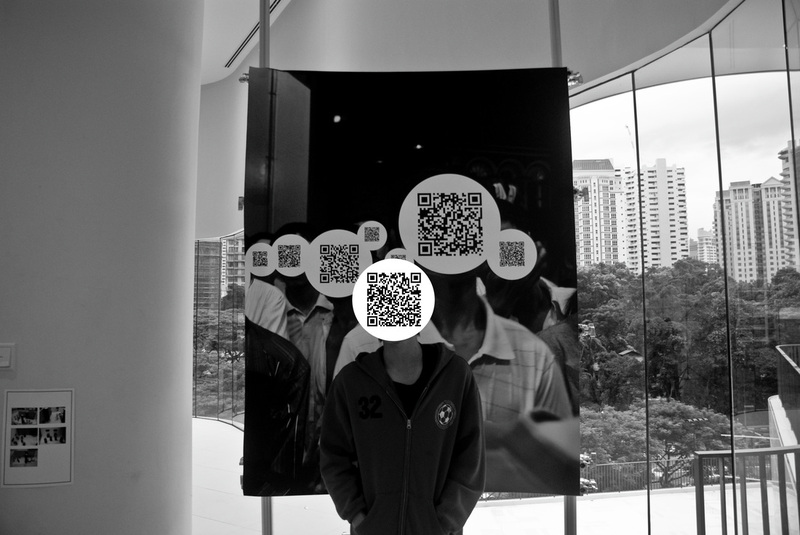 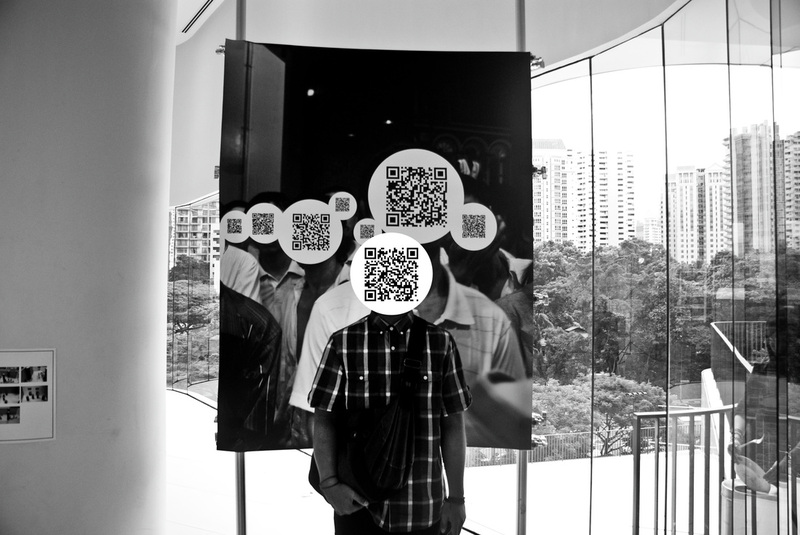 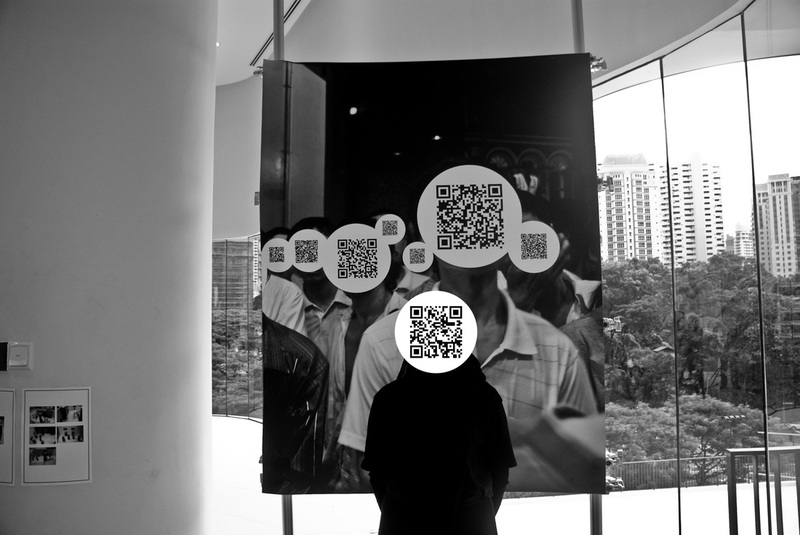 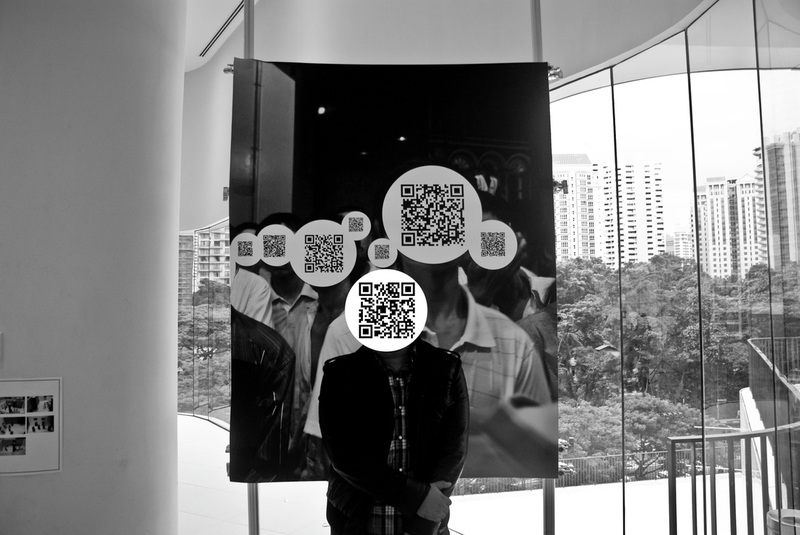 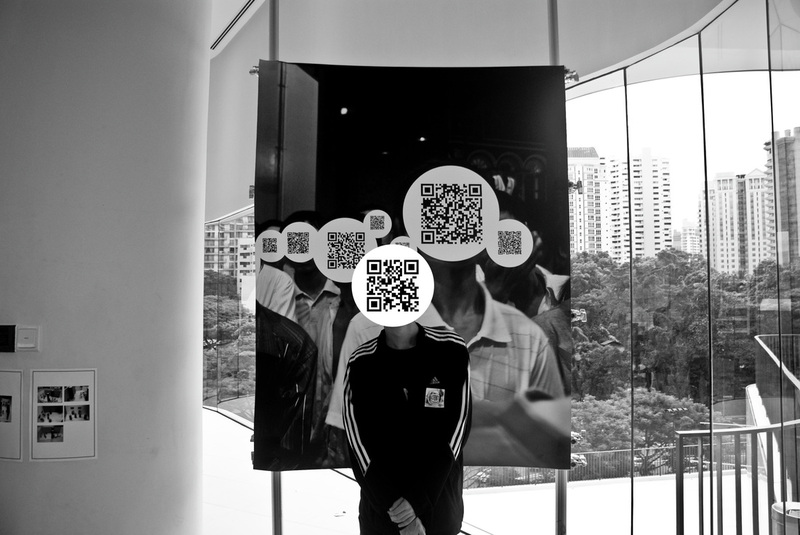 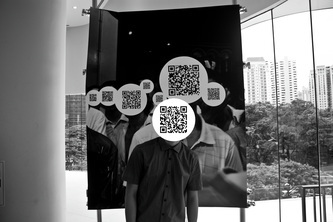 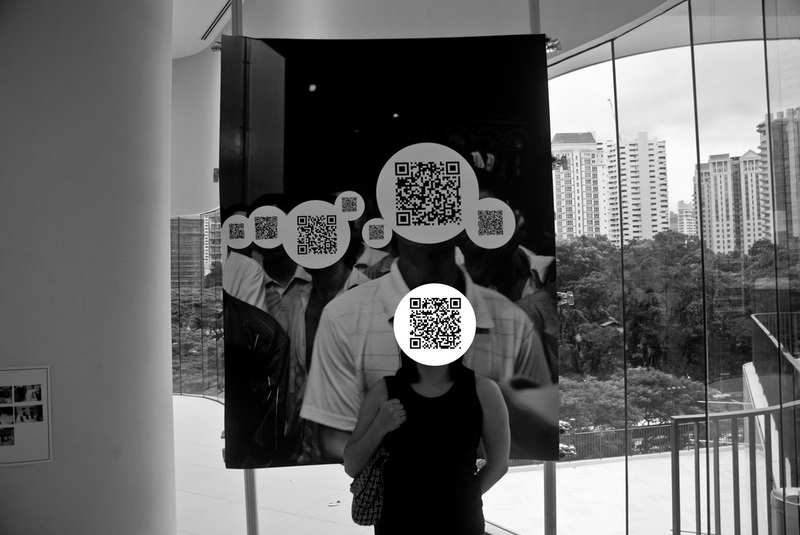 By superimposing circular discs with QR codes onto where one might expect to see faces of people, I wish to accentuate a sense of impenetrability in representations in 2D art and design. And from there, how far can the viewer go in making meaning of what they see, before it stops and become useless to them. 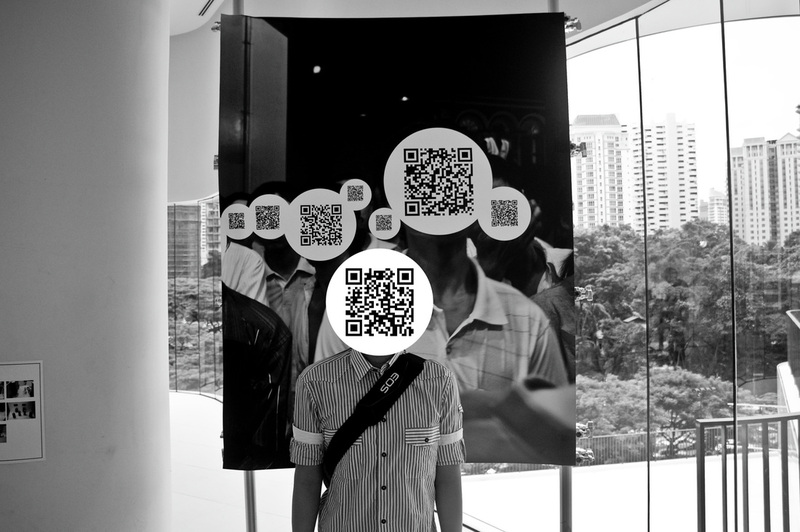 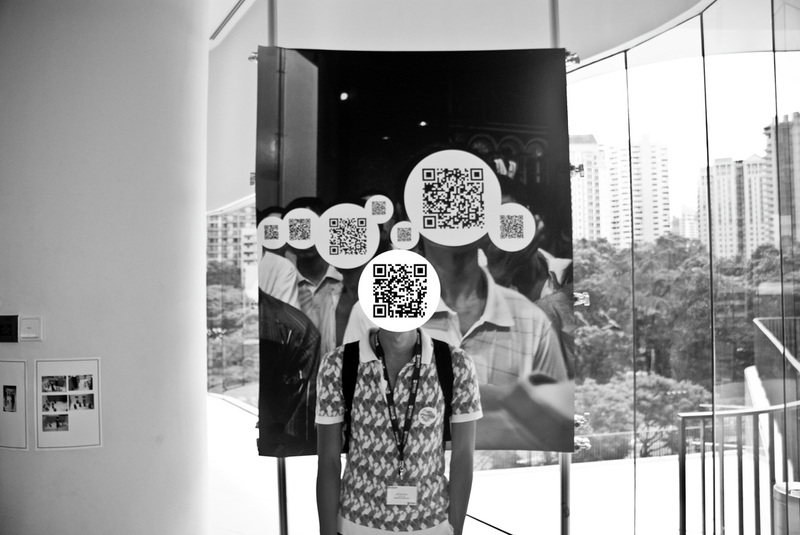 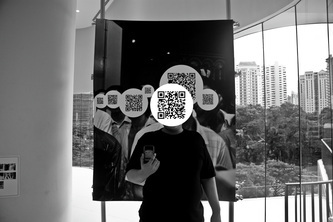 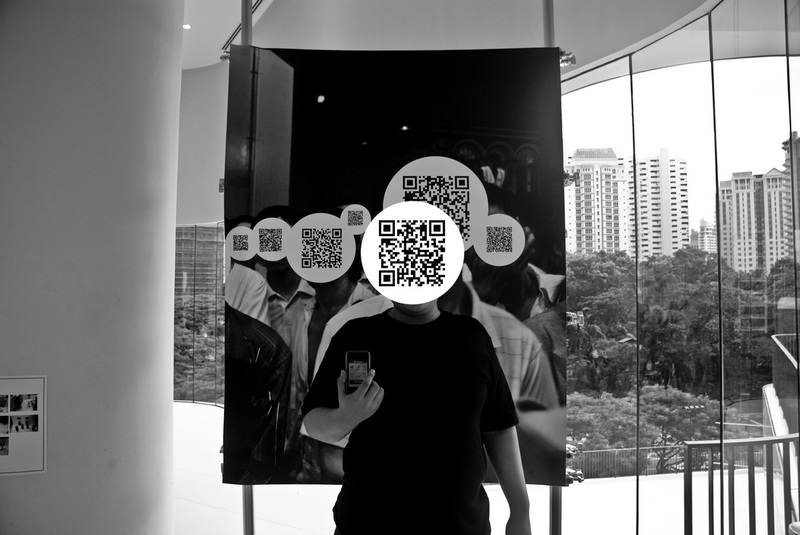 A QR Code is a matrix barcode (or 2D code), readable by QR scanners, mobile phones with a camera, and smartphones. QR stands for Quick Response, as the creator Denso-Wave1 intended the code to allow its contents to be decoded at high speed. I have chosen to use this technology to challenge the viewer to go beyond what meets the eye. 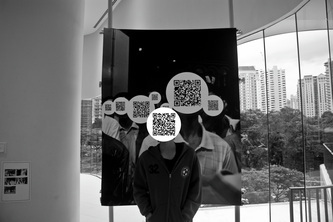 Each code is unique and contains a different message. 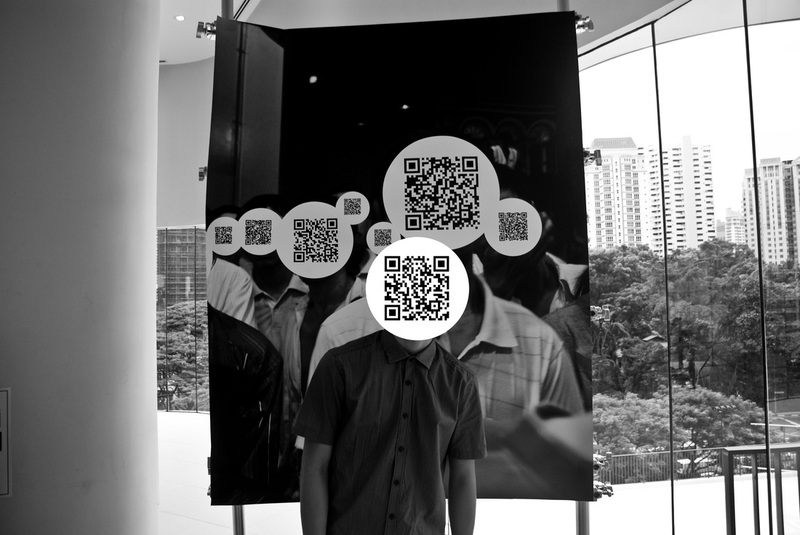 Will you be able to retrieve them all?